Surgical Technology or Operation Theatre Technology is a specific technical profession in the field of health science. Those who are allied with this fast paced and challenging career are called Surgical Technologists (ST). Also know by the names Operating Theater Technicians (OTT), Surgical Scrubs and Operating Room Assistants, these technical medical professionals are an essential part of the operation unit team who work along with the surgeon, anesthesiologist and nurse in order to provide quality patient care before, during, and after surgery. Surgical Technologist/ Operating Theater Technician ensure that every single procedure in the operation theatre is as safe and successful as possible. Their primary duty is to take care of all the work and management of the operation theatre which includes looking after all the surgical instruments, their sterilization, arrangement of operation theatre table, dressing table, instrument table as well as anesthesia table. They also look after the drugs required for surgery, anesthetic gases, drapes and all the linen and their sterilization. They assemble both sterile and non-sterile equipment and at the same time adjust them to make sure that all are working properly. During a surgical procedure, along with the surgeon and nurse, Surgical Technologists also play a major role in the successful outcome of the surgery process with their level-headedness and alertness. These specialized staff handles the instruments, supplies, and equipment necessary during surgical procedures in the operation theatre. They anticipate the needs of the surgeon and react quickly to emergencies by providing appropriate instruments in the correct manner. This is a job with great responsibility as any careless approach by a Surgical Technologist can cause any significant operation to go wrong. Diploma in Operation Theatre Technician, BSc Surgical Technology and MSc Surgical Technology are the major courses in the field of OTT/ ST. The basic eligibility criteria for the 2 year Diploma and 3 year B.Sc. course is 10+2/ intermediate pass or its equivalent. The candidates should have a minimum of 50% marks for Physics, Chemistry, Biology and Mathematics for the 12th standard board examination. Some institutes offer 3 year diploma and 1 year certificate course for those who have passed 10th/ matriculation. Course curriculum of Surgical technology comprises of a meticulous classroom training in subjects like Anatomy and Physiology, Biomedical Science, Pharmacology, Pathology, Microbiology, Obstetrics and Gynecology etc. Fundamentals of surgical procedures, equipment operation and handling skills are imparted during the course. The students are also provided hands-on clinical experience, seminars, computer-aided learning and visits to industrial units. Apart from the basic educational qualification, excellent clinical skills, communication skills and behavioural skills are required for surgical technologists. An eye for detail, accuracy and critical thinking is a must. Team work is necessary as this job requires the individual to work in collaboration with other healthcare providers. Other prerequisites required are optimistic attitude, compassion and high levels of patience and commitment. They must have the ability to work under minimal supervision, erratic shifts and long hours and must remain alert during operations. Surgical technologist also must have excellent dexterity to handle numerous instruments in intricate ways. It is the Surgical/ Operation Theatre Technician who monitor the conditions in the operating room and constantly assess the needs of the patient and surgical team. Surgical team members function in two capacities, i.e. nonsterile and sterile. During a surgical procedure, the area immediately surrounding the patient is referred to as the sterile field and anyone working in the sterile field must scrub and put on sterile gloves and a gown. The sterile team members are the surgeon, the surgical assistant, and the surgical technologist. During the surgery, scrub technicians in sterile field provide suction and retraction as directed, and hand the surgeon any necessary instruments, sponges and other items. Technicians working outside the sterile field are said to be circulating, which means they assist the other team members in monitoring the status of the patient and the procedure. They provide additional supplies and sterile instruments as needed during the surgery, and help the scrub tech maintain a count of pads and sponges in use. Surgical Technicians clean and prepare the operating room before and after each procedure, ensuring that it is fully stocked with instruments and sterile disposable items. They must have the necessary knowledge and ability to ensure quality patient care during the operative procedure and is constantly on vigilance for maintenance of the sterile field. Relocating patients to and from the theatre and wards. 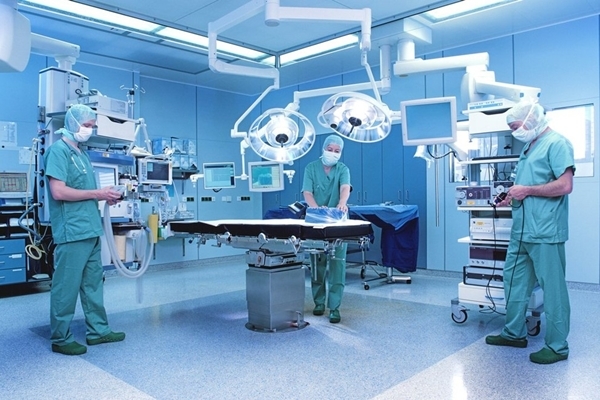 Hospitals are the primary employers of Surgical/ operation theatre technologists. They work in the operating theatres, ICUs and emergency departments of hospitals and nursing homes. Openings are available in the areas of transplant teams, orthopedic clinics, gynecology sections, cancer units, surgery, special care baby units etc. and also in the field of research, education and training. They are appointed in the workplaces of physicians or dentists who perform outpatient surgery. Pay scale in surgical technology depends upon one's qualification, experience and obviously the reputation of the hospital. Fresh graduates can expect, anything not less than Rs. 10,000. Experienced and well qualified technicians can earn much more. There are many paramedical institutes as well as hospitals across the country that offer courses in Surgical Technology/ Operation Theatre Technology. The courses offered by the hospital are are usually affiliated with a college or university. For the list of institutes conducting courses in Surgical Technology/ Operation Theatre Technology, click on following course name.